Between 2015 and 2017 Sound Diplomacy was hired by Initiative Musik gGmbH to manage the German presence at SXSW in cooperation with Hamburg Music Business Association (IHM). A collaboration between different German states, cities and organisations, ran the German Haus and a Trade Show booth at the official SXSW Trade Show in Austin. This involved coordinating activities at the Trade Show booth, but mainly focused on running German Haus. In line with the objectives, the German Haus offers space for showcases, networking activities, workshops, concerts and parties. We are currently working on the 2018 edition. In 2017, German Haus and the German Trade Show booth registered 10,000 visitors over four days. 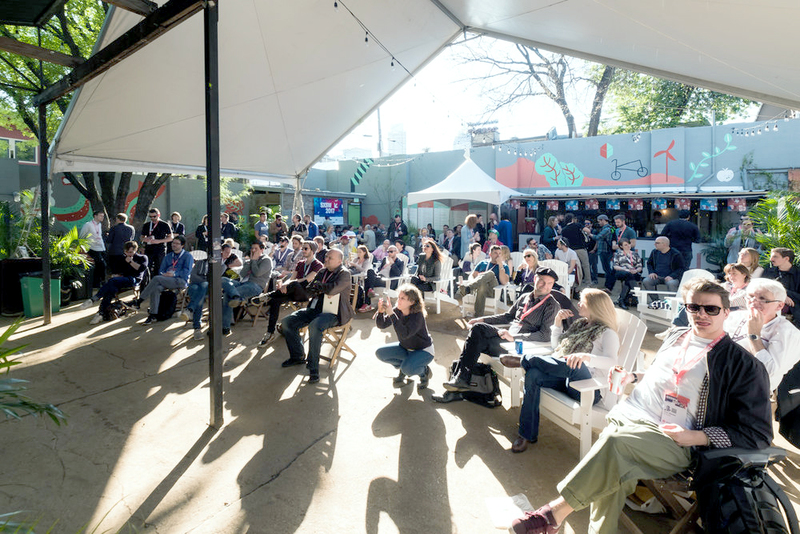 In 2017, German Haus at SXSW welcomed over 100 speakers, 15 bands and DJs and numerous startups showcasing their products, such as Holoplot, a German company who won the SXSW Interactive Innovation Award. German Haus and the trade show registered over 10,000 visitors over four days. On the first day German Haus welcomed approximately 2,500 visitors, one of the highlights was a talk by Daimler CEO, Dr. Dieter Zetsche. In addition to German Haus, Sound Diplomacy organised the Berlin Beats showcase with the support of Musicboard Berlin, showcasing a wealth of musical talent from Berlin. Some of the artists that performed over the last few years include: Robot Koch, rRoxymore, Stefan Goldmann and Perera Elsewhere. Our team has long-term expertise running events in Austin during SXSW, both for Germany and Canada.